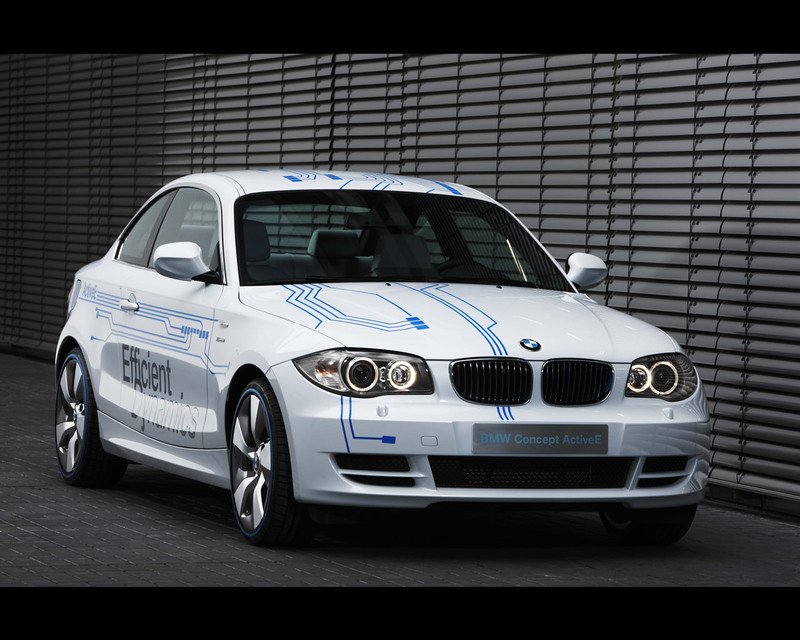 The BMW Group has announced that it will put on the market under a sub-brand of BMW an electrically powered serial production vehicle for cities; BMW is , in the meantime, calling the Project Megacity Vehicle and launching date is quoted in the first half of the decade. 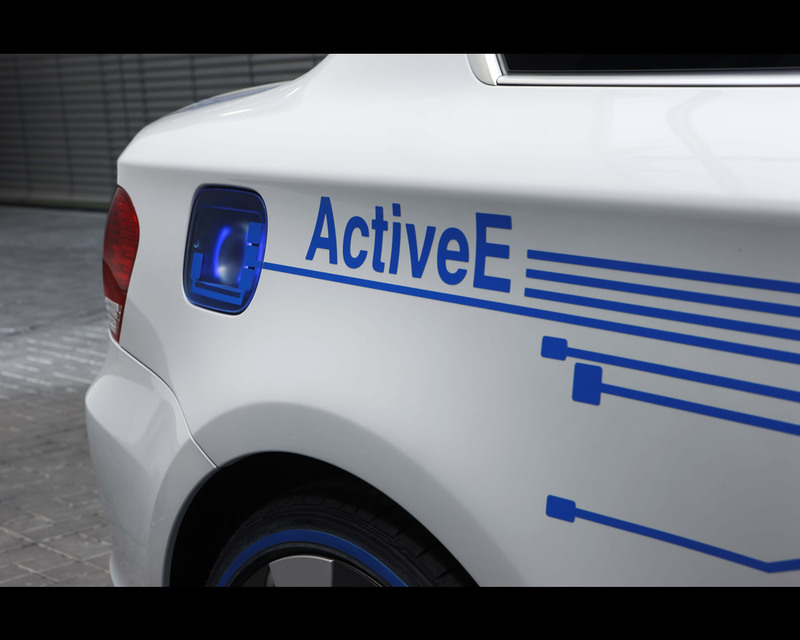 The BMW 1 Series ActiveE, introduced at 2010 Detroit Motor Show is a second step in this research and development activity in electro-mobility, after the MINI E . The MINI E is part of a global pilot project where customers in the US, the United Kingdom and Germany are now driving 600 electric MINI. 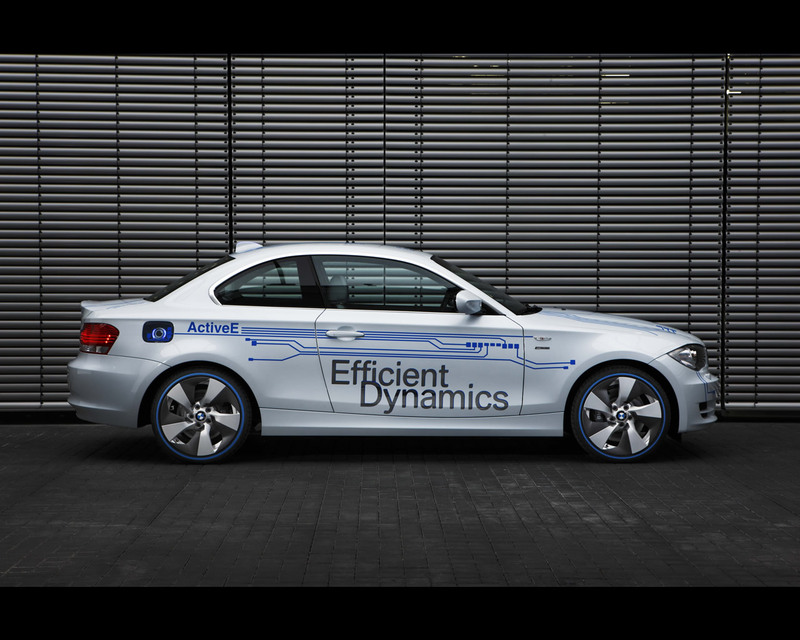 The BMW ActiveE is intended to enter a similar program, starting from 2011, where valuable feedback is accumulated for the development of a vehicle specifically designed to meet the needs of urban mobility with electric drive. The BMW ActiveE Concept is based on the BMW 1 Series Coupé. The arrangement of the drive components makes it possible to provide four full-size seats and a luggage compartment volume of some 200 litre ( 7 cubic feet). Let us remember that the MINI E Concept has only two seats. 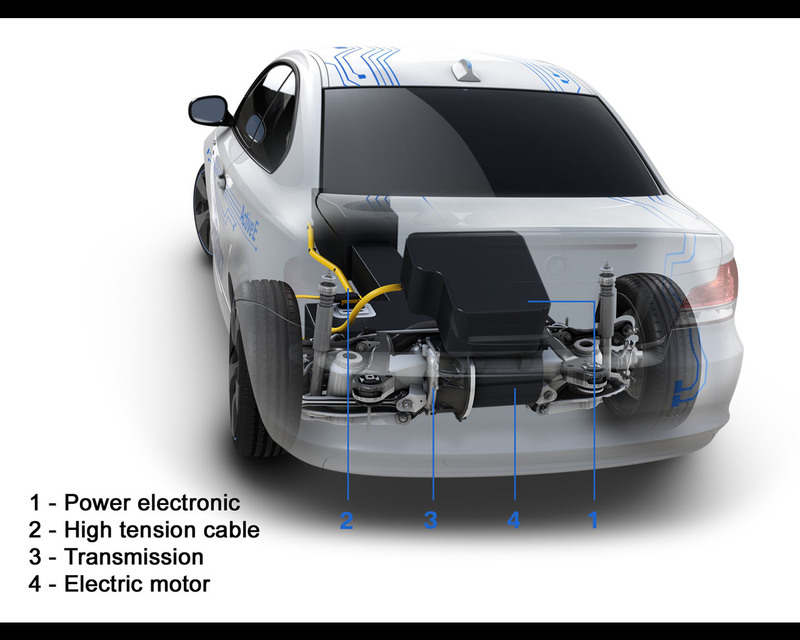 In the BMW ActiveE , the electric motor is completely integrated in the rear axle with the power electronics above the motor. The battery pack is positioned in the space occupied by the drive-train and fuel tank in the vehicle powered by a combustion engine. With a unladen weight of some 1.800 kg (3.900 lbs), a low center of gravity and an axle load distribution typical of a BMW, the vehicle has everything it requires to provide the dynamic driving properties and agile handling in the style of the BMW 1 Series. 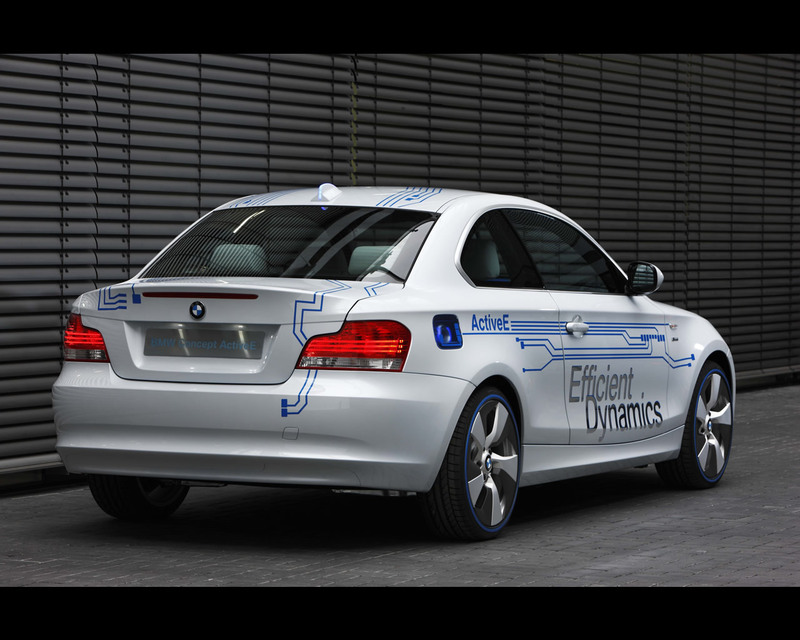 The BMW ActiveE Concept is powered by a new synchronous electric motor specially developed for this vehicle. Its maximum output is 125 kW (170 hp), the maximum torque of 250 Nm (184 lb-ft) is available from standing as is typical for electric motors and remains available over an unusually broad load range. 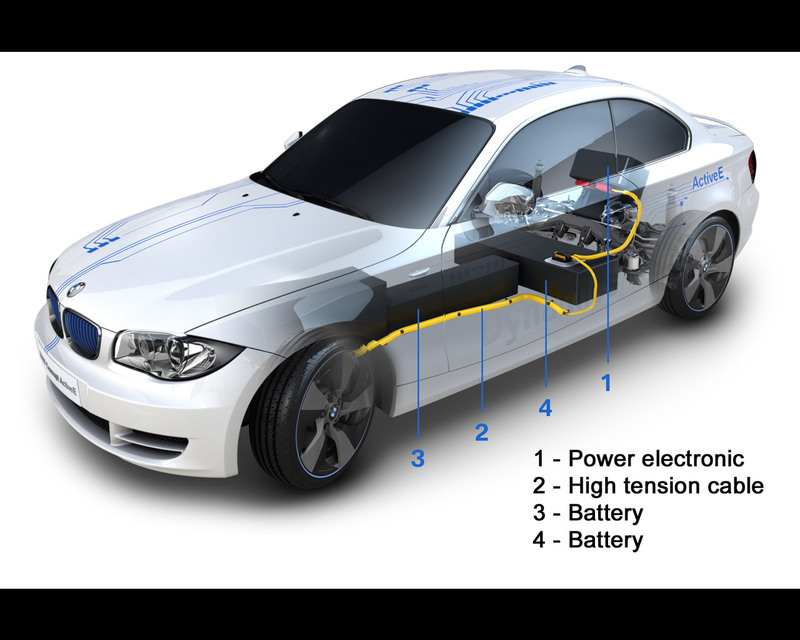 For the first time, electrical energy is stored in a lithium-ion battery pack developed jointly by BMW and the co-operation partner SB LiMotive especially for the BMW ActiveE Concept. A new stable temperature regulation function optimizes the battery pack's performance. Flexible charging technology enables the lithium-ion battery pack to be recharged by conventional power outlet at public charging stations or at a special wall box. On the European grid, the battery pack can be fully charged at high-current power outlet (50 Ampere) in as little as 3 hours. In North America, using a high-current (32 ampere) residential wall box, the charge time is about 4,5 hours. 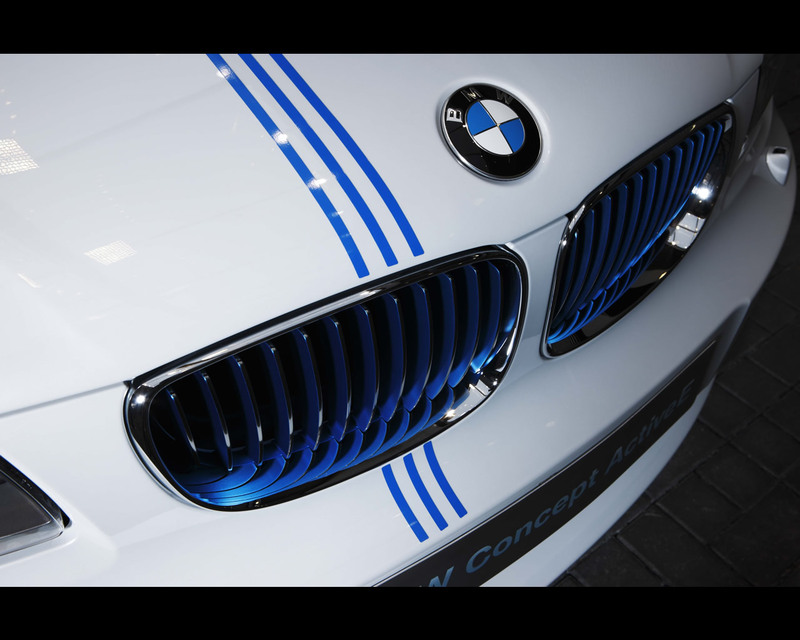 Predicted driving performance figures: acceleration from zero to 60 kph (37 mph) in less than 4,5 seconds and zero to 100 kph (62 mph) in less than 9 seconds, maximum speed: electronically limited to approximately 145 kph (90 mph). 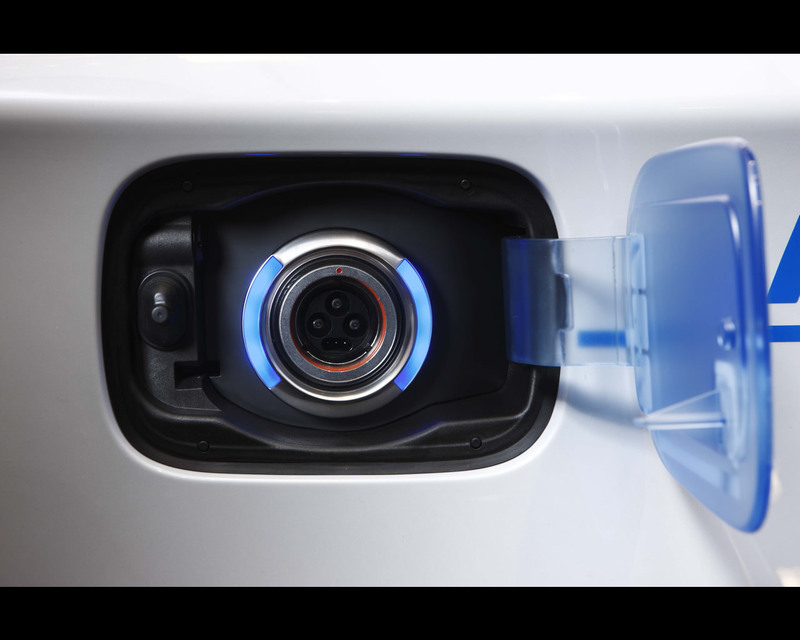 As with the MINI E, the real-world range is expected to be 160 km (100 miles) on a single charge, depending on conditions (FTP72 cycle range is calculated to be 240 km /150 miles in simulation). When the driver release the accelerator pedal, the electric motor performs the function of a generator, converting the vehicle's kinetic energy into electric power and storing it in the battery pack. Intensive use of this so-called energy recuperation process by the motor is claimed to increase the range by 20%.